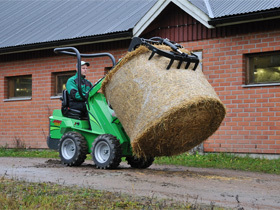 Fast, efficient, Avant® 4WD loaders with a huge range of attachments - a versatile alternative to compact tractors. For more information, sales, help or advice, call us at Paul Helps Ltd on 01458 850 084 or email sales@avantequipment.co.uk. Avant® 300 Series skid steer loaders are robust machines that turn on the spot ideal in tight situations where space is limited. 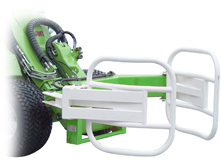 These loaders work best on hard surfaces so are suitable for farmers shifting silage and manure over concrete yards or to move heavy, bulky loads. The 300 Series skid steer loaders are strong, powerful machines and just slightly harder to master than the other loaders in the Avant® range. 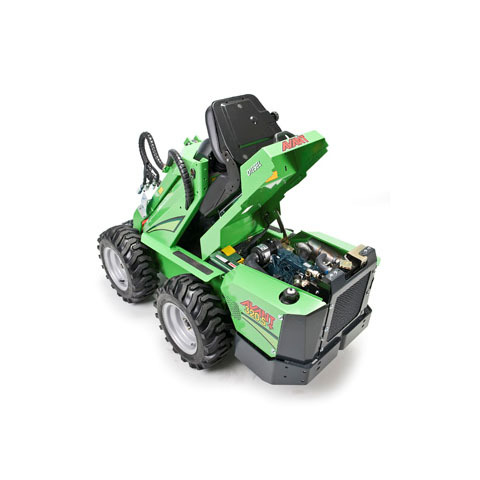 Once mastered though, they too are highly manoeuvrable with the drive, boom and bucket movements controlled by two joysticks on the dashboard. 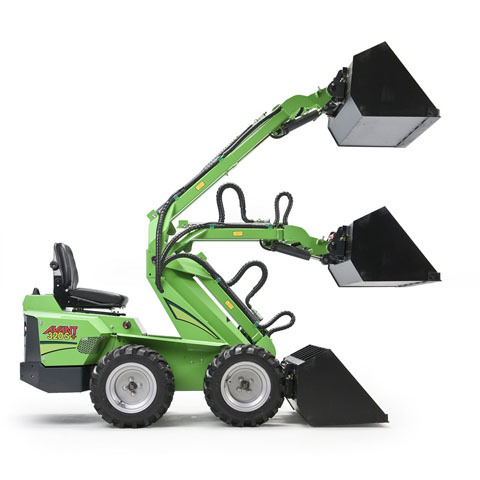 The Avant® 300 skid steer is the only skid steer on the market with a telescopic arm. 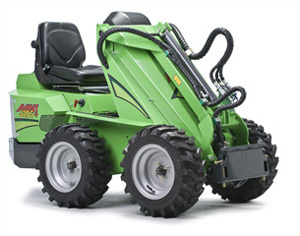 Please contact us on 01458 850 084 for further infomation on Avant® Series 300 skid steer loaders and attachments. 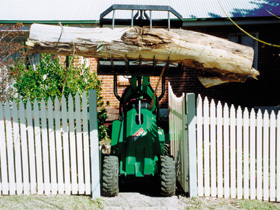 With 4WD, skid steer, a telescopic boom, powerful hydraulics and a huge range of easy to swap attachments Avant® loaders are able to easily cope with any tough farming or construction job with speed and ease. With a wide choice of attachments, Avant® 300 Series multi-purpose, skid steer machines are more efficient, versatile and cost effective than other dumpers in the same class. The 300 Series' telescopic boom gives more flexibility when loading, extending and retracting without moving the machine. Operation of the boom is with the control lever on the dashboard. 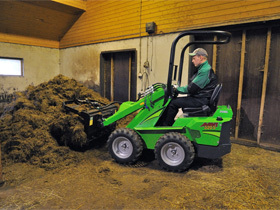 With skid steer, the Avant® 300 Series loaders can turn on the spot. 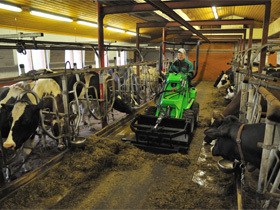 Download the Avant® 300 Series Skid Steer brochure (pdf file). We can usually offer good discounts on Avant® 300 Series Skid Steer loaders and accessories, please call us on 01458 850 084 for the latest offers. If you need help to make the right decision regarding which Avant® skid steer loader and attachments would suit your needs both now and longer term, please call us on 01458 850 084 or email sales@avantequipment.co.uk. We are a small, family run company selling only top quality equestrian equipment and we offer a personal and professional service to our customers. 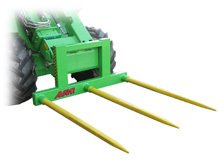 Call us on 01458 850 084, we have in depth knowledge of all our products and will be pleased to talk through your requirements ensuring you buy the best Avant® loader and range of Avant® attachments for your present and future needs. We accept all major credit cards and debit cards. We also have finance and leasing options available. 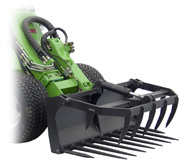 We sell a range of paddock equipment in the UK from chain harrows, paddock cleaners and power barrows to paddock toppers and paddock rollers. If you need help choosing or just some advice, please call us - 01458 850 084.